Something for everyone this week as now we look towards the ZX Spectrum with a new game called ' Beams of Light ' developed by Shiny! 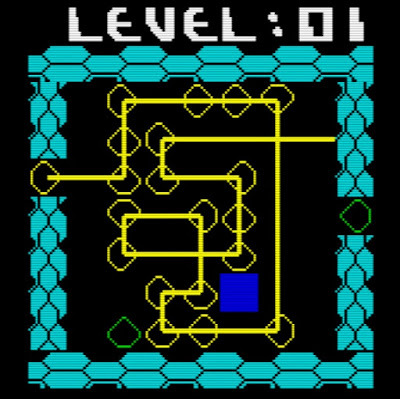 Classed as a puzzler you are tasked with drawing beams of light from the left edge of the game to the right all the way through the crystals. Once that is achieved it's on to the next level of which there are 49 of them to entertain you through the evening. 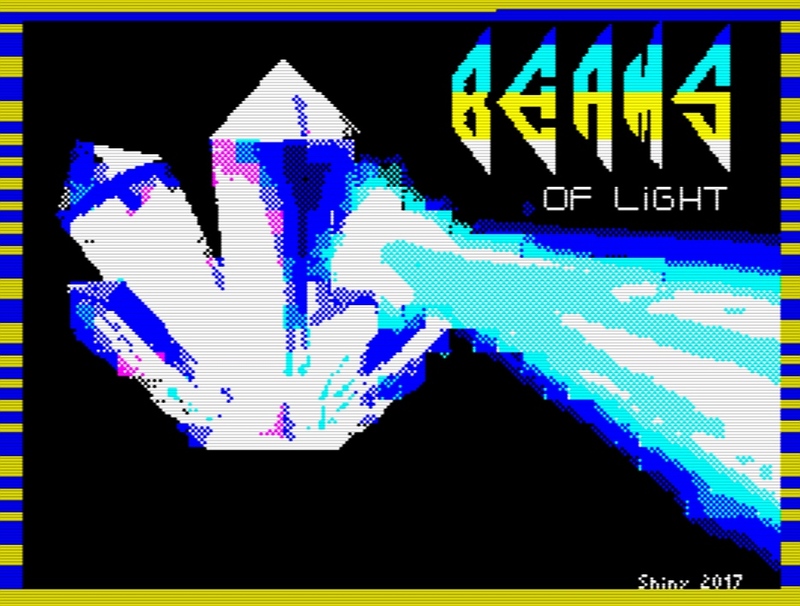 Beams of Light is a bit of a simplistic game in design. The joining of each object as a puzzle game to hit that final goal has been used before, with one such game that comes to mind being Pipe Mania on the Amiga. It's not to say that it's a bad thing for a puzzle game, as games like this are very popular, but I'll be honest this game really isn't my cup of tea. But at-least I really did enjoy the theme tune that plays throughout.